Just recently, options in stock trading have been getting the attention they deserve from many traders. However, for quite some time now, investing on options has created quite a stigma in the market especially with the financial media and a few popular figures attaching such implications that trading options may be too risky or dangerous. What you should knowing about trading options however, is that there are a lot of advantages that one can get from it. And as long as you are smart in handling your trades and with the use of the right strategies, you may be able to prevent risks from actually happening. One thing about stock options is that they are well capable of leveraging or borrowing money in order to increase returns. It can be very possible for an investor to obtain option positions that copy stock positions without going overboard with the cost. A strategy known as a stock replacement, allows mimicking stocks possible but in a cost efficient way. 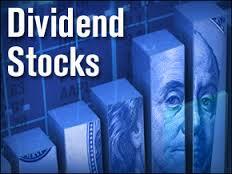 For example, for you to be able to purchase 200 shares of a $50 stock, you must pay $10,000. But if you were going to purchase a couple of $20 stock options, with the options representing 100 shares each, then you would only have to outlay $4,000 instead of $10,000. As an investor, you would be able to gain $6,000 for you to use in your discretion. Of course, the whole process may not be as instant and as simple as the example provided. But if you are able to choose the right stock option for the process, then you may be successful in your attempts for this strategy. Another fact about stock options is that you can actually spend less money, but still make almost the same profit. Because of this, you can surely expect to gain a much higher percentage of returns as compared to normal stock trading. Of course, this would mean that you can actually earn so much more and your investment can surely pay off. Another very good advantage in trading options is the fact that they can offer more strategic alternatives for investment as compared to traditional stocks. Because options are very flexible, there can be a lot of way to use them. Take in mind that options are actually the rights to trading a particular stock, and so, there may be various ways that an investor can actually use these rights to benefit him or herself. The use of these options allow an investor to trade not only through stock movements, but through the passage of time and unpredictability in the market as well. And this can be very beneficial because most stocks rarely move significantly. Options strategically offer alternatives for a trader to do business in every type of market. These are only a few of the major advantages of trading stock options, but as you can see, they are enough reason to tell you that going into this type of market can really be beneficial. With the low costs, direct access to stock options through the Internet, and with such benefits at hand, it is no wonder why stock options trading have become a part of the financial circles these days.